More than 2,000 community members came together on Sunday morning at Temple B’nai Abraham in Livingston to mourn and grieve the loss of eleven beautiful souls at the Tree of Life synagogue in Pittsburgh. I was deeply privileged to stand with my community, with Governor Murphy, and with dozens of our rabbis and elected officials from across our state, to stand firm together against anti-Semitism and the cloud of hate that has attacked us. Later that afternoon we got to work, participating in a briefing with FBI Director Christopher Wray and our Jewish Federations’ Secure Community Network directors. We remain committed to deepening our collaborations with all levels of law enforcement and we reiterate our deep appreciation for our local police and Sheriff’s departments, who have increased their patrols and coordination with community agencies and buildings in light of this weekend’s attack. And yesterday, our Federation reached out to every single partner agency and synagogue in the five counties of Greater MetroWest. A Federation professional called to ask four key questions: Have you reached out this weekend to your local police department? Do you have a ready security plan and a security committee in place? Have you reviewed that plan since Saturday? Have you reached out to Federation’s Security platform, and how can we help? We’ve begun collecting and analyzing the responses and are working to enhance collaborations and to see how we can provide further assistance. We’ll also start reaching out to our friends and partners in community agencies even if they’re not in our traditional network, because they too are part of our community. In the coming days, we’ll likely launch a supplemental fundraising campaign to continue to improve the level of community safety and security. Thoughts and prayers are necessary and important, but the reality is that training and action build a secure community. And although the money you give to the UJA Annual Campaign has built the security programs and infrastructure that we have provided thus far—of which we are extremely proud—we are going to need everyone’s help to raise our community’s security to the levels we all want and deserve. Know that we at Federation are completely committed to ensuring that Greater MetroWest NJ remains a community where we all feel welcome and safe to practice our Judaism as we wish. We’re encouraging everyone to go to shul this weekend to participate in the nationwide Solidarity Shabbat, coming together across denominations to pray, to mourn, and to strengthen one another. Shabbat was taken from the Jews of the Squirrel Hill neighborhood of Pittsburgh by a hateful, anti-Semitic act of violence. 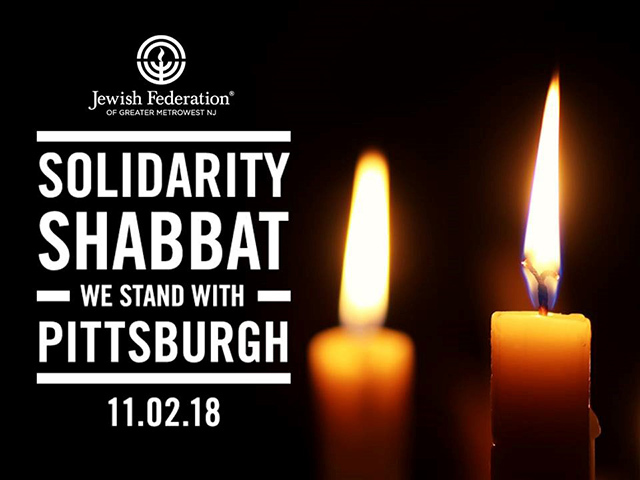 Let’s come together to reclaim Shabbat in the name of love and to show solidarity with those who are mourning the loss of their family and friends in Pittsburgh. Remember – we are a community, and we don’t do these things alone. If your synagogue or agency has not (yet) reached out to your local police department for additional support, now is the time to do so. We are extremely grateful to every level of law enforcement, from the FBI and Homeland Security to our first responders and local police departments, who have provided invaluable support to our Jewish community. 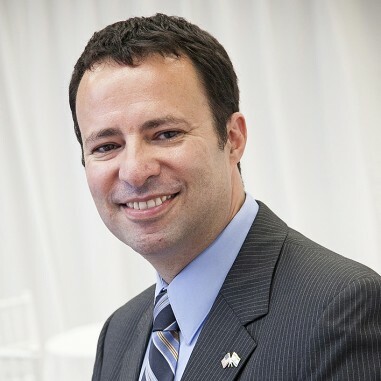 If your synagogue or agency has not (yet) been in contact with our Chief Security Officer, our Planning Department, or other Federation liaisons, now is the time to do so. Many of our community have asked how they can support the families that have been shattered by the shooting in Pittsburgh. Here is the direct link to the Jewish Federation of Greater Pittsburgh. Funds collected will be earmarked for the psychological services, support for families, general services, reconstruction, additional security throughout the community, medical bills for all those involved, as well as counseling and other services that may prove necessary in the future. Their religious and day schools will also most likely require additional resources to help their youth process this tragic episode. We encourage you to give generously to this fund. Now is the time to stand together, unafraid, in support of our brothers and sisters in Pittsburgh and Jewish people everywhere – together against hate, together against fear, together against anti-Semitism. Together we can be strong.